The 52-year-old was dancing at a party and then fainted. 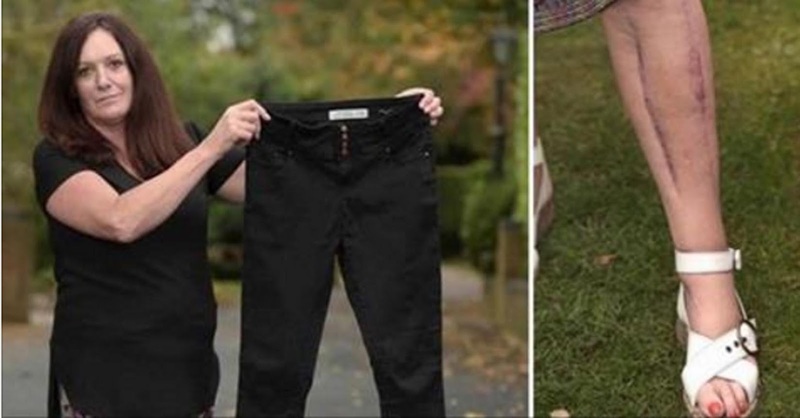 When doctors saw her pants, they knew what had nearly killed her. When British woman Jane Rylance was invited to a friend's birthday party, she decided she would wear her black skinny jeans. But the 52-year-old had gained some weight and when she pulled on the jeans, she noticed that they were much tighter than they had been before. Yet, despite the discomfort, Jane chose to wear them anyway and that ended up being one very dangerous mistake. Later in the evening, while she was dancing at the party, Jane lost consciousness. Although she recovered a few minutes later, Jane knew it was time to go home and get some rest. But when she woke up the next morning, she was shocked to see that her legs had swollen up to several times their normal size. She immediately went to the hospital where doctors were able to make a quick diagnosis: compartment syndrome, a disorder caused by damage to the nerves and muscles from too much pressure on the tissue. "The jeans were literally squeezing the life out of my legs," said Jane. "The left leg had to be urgently sliced open to relieve the pressure on nerves. The doctors told me that I was only an hour away from an amputation. I could have died. It was frightening." Jane had to undergo three more operations to graft skin from her thigh onto her lower leg. She survived the ordeal, but the scars on her legs will always be a reminder of how close she really was to losing them. "I just feel grateful to still be alive. No fashion is worth the nightmare I’ve faced. I’ll not wear skinny jeans again. They can kill and should come with a health warning," says Jane. And hopefully by telling her story, she can help a few other people avoid a brush with death.